View of Niihau from Kauai. Find out how to visit Niihau here. Many travelers to Hawaii ask the question: can you visit Niihau, the so-called Forbidden Island? Niihau is 70 square mile island remotely located 18 miles southwest of Kauai. So here’s the answer to the question of whether anyone can visit Niihau. The short answer is you can, but it’s not that easy. The Robinson family heirs are owners of Niihau. They have quietly protected the island as well as its several hundred inhabitants from development and publicity since the mid-1800s. Niihau has been called the Forbidden Island since the early 1950s. The island got this nickname because of a statewide polio outbreak. During this time, no one could visit Niihau. This is because the Robinsons wanted to be sure that none of the residents of the island got the disease. The name stuck, even after the epidemic was over. King Kamehameha V sold the island to brothers Francis and James Hutchinson Sinclair for use as ranch lands in 1864. Since then, along with other land on Kauai, the island has been passed on to their descendants. This was the aforementioned Robinson family. Even before and after the polio epidemic, the Robinsons have been very careful about controlling access to the island. Previously, they have limited visits to only Navy personnel and family and friends of the island’s residents. In fact, it was only until 1987 that the Robinsons permitted limited public access to the islands. 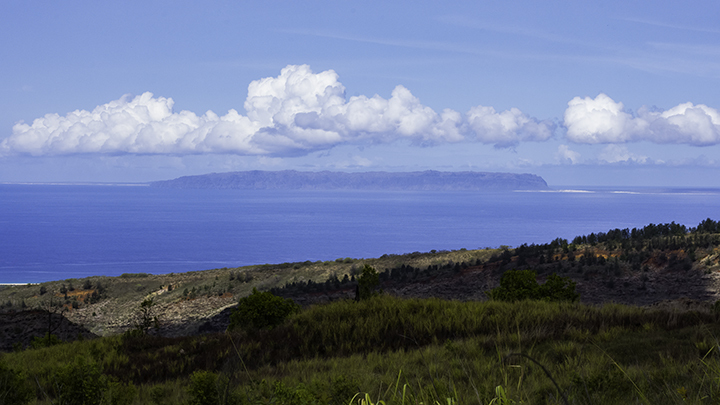 The island first gained national notoriety for the so-called Niihau Incident during World War II. A Japanese pilot, Shigenori Nishikaichi, crash landed on the island after the 1941 attack on Pearl Harbor. Because of the island’s remoteness, the residents of the island were initially unaware of the attack. Nishikaichi was later killed in a struggle with two local residents when he tried to escape. The incident helped to fuel the flames to intern Americans of Japanese descent on the US mainland. This was because three people of Japanese ancestry on Kauai had aided Nishikaichi. There are no hotels, restaurants and roads on the island. But now, all of the homes on the have electricity powered through solar cells systems. Helicopter and ferry services provide transportation to and from Kauai across the often rough Kaulakahi Channel. The Robinson family operates the ferry service. The State of Hawaii even has a school room on the island. Located on the rain shadow of Kauai, getting water on Niihau has always been a challenge. Here, drinking water is provided through catchment systems. In the past, during periods of little or no rain, residents have had to be relocated to Kauai. The island is also the most popular habitat for the rare and endangered Hawaiian monk seal. The Robinson brothers have taken extraordinary conservation measures to protect them. This included protecting areas where the seals give birth and raise their pups. But not everyone on the island is happy about this. This is because Niihau’s residents and the seals often compete for the same types of fish. Besides being a haven for monk seals, the island has some notable geographic features. The island has Hawaii’s largest lake, Lake Hālāli‘i. This is noteworthy as there are very few natural lakes in the State. This lake is an intermittent body of water as it becomes dry during periods of little or no rainfall. Also, another lake, Halulu Lake, is the lowest part of the entire State at two feet below sea level. The island has the second longest stretch of white sand beach in Hawaii called Keawanui. Many people know Niihau for its abundance of beautiful seashells on its pristine beaches. Residents use some of them to make the island’s famed seashell leis, necklaces and bracelets. With the exception of the Ni’ihau Incident, life on the island has been quiet and peaceful. But it has not been without some controversy. To many, the Robinsons over many generations have been good stewards of the island. And they have exercised a benevolent and patriarchal management approach over the island’s residents and affairs. The Robinson family has tried for many years to keep the few hundred island residents fully employed. They have done this primarily through ranching operations and through making charcoal from kiawe. Kiawe is a type of mesquite tree. But it has been difficult to economically sustain ranching operations on an island that only has a limited supply of fresh water. The charcoal operations shut down as mesquite charcoal is more cost-effectively produced elsewhere. Additionally, the Robinson family has borne the burden of providing, at no cost to the residents, free housing and meat. Brothers Bruce and Keith are the current heads of the Robinson family business interests. They have tried to remain committed to the promise made by their ancestors to King Kamehameha V. This promise was to maintain and protect the island, its residents, culture and lifestyle. For years, to keep Niihau residents employed, the brothers have subsidized their operations on Niihau from their other businesses on Kauai. The Robinsons also provide a helicopter service to and from the island. The service can now get residents to and from the neighboring island of Kauai in 15 minutes. Previously, it took a three hour boat ride on an old World War II era surplus boat to make the same journey. The helicopter has proved to be a godsend to the residents, especially in times of emergencies. The brothers have turned to the US Navy for generating more income for the island. The family has had good relations with the Navy since 1924. The Navy has installed a missile tracking installation on land leased from the Robinsons located on Paniau Ridge. This is the island’s highest point at 1,280 feet. The Robinsons believe such low-impact uses like this are better than ranching. Ranching, in the past, has caused some ecological damage to the island. Some Hawaiian activists clamor that the US Navy has no right to use the island for military purposes. And they want the State to condemn the land and then return it to the Hawaiians. Other Hawaiians counter by saying it was the Hawaiians that gave the land to the Robinsons. Besides income from the US Navy, the Robinsons are also generating revenue from offering daily helicopter tours and hunting safaris on the island. Here, visitors can fly from Kauai to view Niihau’s scenic coastline, spend a few hours on the beach or rent rifles and hire guides to hunt big game such as merino sheep and Polynesian boar. Visitors planning to take the helicopter scenic tours or safari tours can do so out of the town of Kaumakani on Kauai. This is the only way to visit Niihau today. Niihau is famous for its Niihau shells from which the island’s resident make leis, necklaces and bracelets. The company Niihau Aloha, owned by the residents of Ni’ihau specializes in making this type of unique jewelry. The sale of Niihau jewelry to visitors is also an important source of income for the local residents.